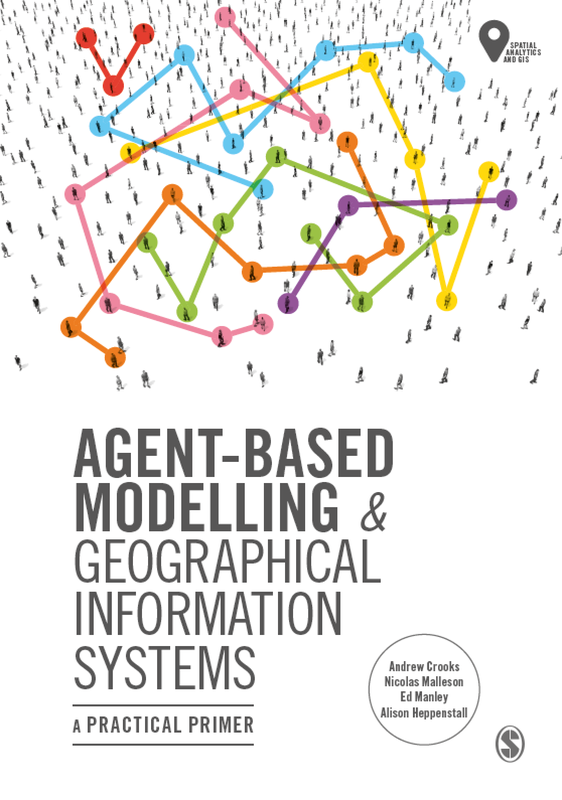 I am a big fan of NetLogo, I have seen many examples and have been wondering how I could easily create agent-based models using GIS within it. Whilst browsing the OpenABM website I came across a post by Eric Russell about a beta version GIS Extension for NetLogo and could not resist trying it out. The extension provides primitives for importing vector GIS data (in the form of ESRI shapefiles) and raster GIS data (in the form of ESRI ascii grid files) into NetLogo. “It uses a combination of the gis:convolve primitive and simple NetLogo code to compute the slope (vertical angle) and aspect (horizontal angle) of the earth surface using the surface elevation data. Then it simulates raindrops flowing downhill over that surface by having turtles constantly reorient themselves in the direction of the aspect while moving forward at a constant rate”. The second example model (below) loads four different GIS datasets: a point file of world cities, a polyline file of world rivers, a polygon file of countries, and a raster file of surface elevation. It provides a collection of different ways to display and query the data, to demonstrate the capabilities of the GIS extension. does it have to be an esri file?? is it possible to use a free GIS to do this? will this extension work on mac machines as well ? While ESRI is not free, you can use open source GIS packages like Grass or QGIS to create ESRI files. The Netlogo Extension does work on a MAc. 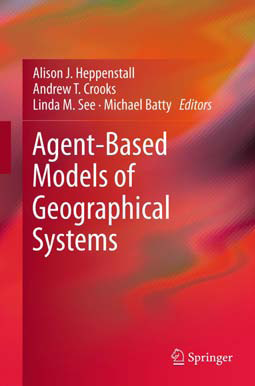 For those reading from 2012 onwards..
Pacman: is it an agent-based model?